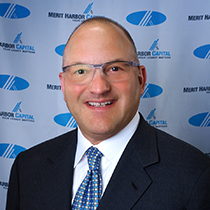 John Illes joins the Las Vegas office of Merit Harbor Capital after running his own firm, BergSpyder LLC, which provided management consulting and mergers and acquisition services to middle market companies. Mr. Illes was VP Marketing at the USA division of Imperial Tobacco UK and VP Marketing & Retail Operations for Utrecht Art Supplies, a 35 store specialty retailer. John was also President & COO of a 140-person company where he managed a $6.5B portfolio for a Fortune 50 financial services company. John’s early consumer products career included positions Oscar-Mayer, PepsiCo, Philip Morris USA, and Swedish Match North. John understand the daily pressures of running a business and he knows what it takes to build an organization. This background gives him a pragmatic perspective of M&A processes that helps build a bridge between owner-operated business and institutional & strategic investors. Consumer Goods, Restaurant, Manufacturing, Government Services and Defense.